Dear Sisters and Brothers...Let's understand that there is a higher purpose hidden from view...something profound...something beyond any narrow thinking. The time has come, to harness the inner source...to reinforce the unimaginable power of the inherent ‘Shakti’...to tap the tremendous immenseness of the soul. So, come dear ones...Let us all join in...to strengthen our collective will and manifest that miracle. That golden occurrence which would set humanity as well as the whole of creation forever free! ...a supreme state of priceless worth...? Who doesn’t want to be face to face with God...? ...then to remain regretfully wallowing in persistent dearth...? Who doesn’t desire a dismal destiny to avert...? ...realise the purpose of one’s birth...? ...can we desire anything else...? The word of God will never fail. One more point which supports December 5 or December 8 as swamis reappearance. In my previous post I supported Nov 20 or 23 as swamis reappearance based on English calender. When we take the date December 4 it is the second pradosham in the month of karthigai and corresponding Tamil date is Thursday karthigai 18. The next day December 5 Friday is the date of karthigai deepam in the holy hill of arunachala in TamilNadu. Now we will compare this date December 5 with vasantha sais Nadi readings which supports December 5 as swamis appearance. b)This will be fullfilled from the date of karthigai deepam. The lamp lit on that date will last long as long earth exists. c)Swami knows when it will be accepted by people.This is the day of karthigai deepam, in the month of karthigai. 4)We all know that for our many devotees swami had said in dream that he will come in Friday. (for example dream for latha sairams kid. 5) There is a point for this date December 5 Friday from Islam beliefs. Prophet (PBUH) said “ The best day on which sun rise is Friday. on it Adam was created. and the last hour will take place on no other day than friday. The December 8, 2014 is Monday which has full day with the star thiruvadhirai which shines from Sunday night 1.15 am and lasts up to 2.30 night Monday. As per Rishi Viswamitra Naadi whereby 3 Months from Krishna Birthday and in same Month of Rohini Star SWAMI will re appear - Krishna Birthday is 18th August 2014 (en.m.wikipedia.org/wiki/Krishna_Janmashtami) and Rohini Star in same month of Krishna's Birthday is on 19th August 2014 (hindupad.com/rohini-nakshatra-2014-2015-dates/). 3 Months from there is November. Also in Gorakka Naadi it states AT AGE 88 SWAMI WILL BE ACCEPTED BY ALL - therefore SWAMI according to the 2 Naadis will have to appear 1] November and 2] While He still is 88 years (before 23rd November 2014 where He will turn 89) . The prasodam date in Tamil Calender also is a Friday in November and also a Friday in Deccmber. THIS IS INTEREST TO ME WHY ? SWAMI ON 15/05/2014 CAME TO ME AND SAID " I AM COMING THIS FRIDAY" - Since Swami talks beyond time THE FRIDAY reference is to the FRIDAY HE SAW in the future OF HIS RETURN - not the Friday of the week in which He came to me. "Heaven and earth will pass away , but my words will never pass away." the sky to water the earth. planting and food to eat. Thanks for mentioning. I saw your site. But again it says First pradosham in karthigai month is on November 20, Thursday ( and Tamil date is karthigai 4) .I have also supported this date based on English calender as you can see in the previous blog comments section. For your reference I have given below some links which mentions above said two pradosham dates both in Thursdays ! 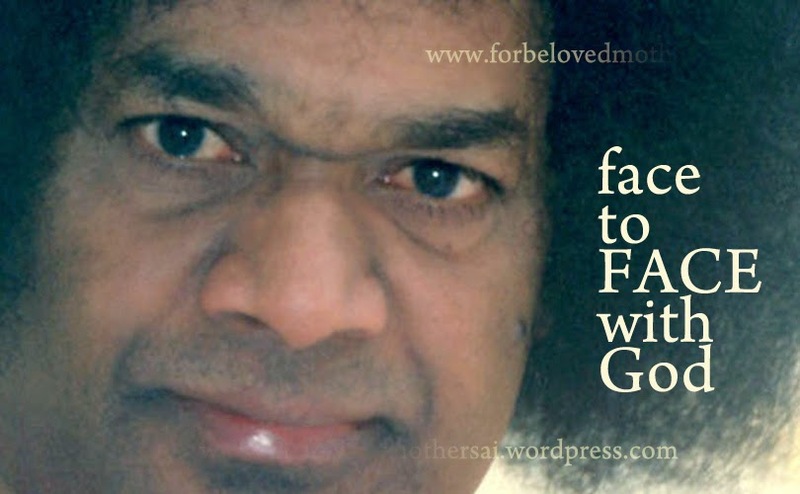 Sathya Sai Loves All ! Thank you for info - very soon GREATEST EVENT IN HISTORY - and a long awaited SECOND COMING. If we calculate from the point of English calender ,There is also a great chance for swami may come on November 23. How did I do this calculation? I interpreted my dream with vasantha sais vision and nadi readings. On 15/10/2013, Yamadharma Raja told Vasantha Amma during her morning meditation this," An Event will happen on the 20th and all the people in the world will know. Swami will come on the 23rd (3 days later)"He did not mention which 23rd. In my dream he said that I should come on Nov 20 (Karthigai month 1st pradosham). From the above vision of vasantha sai you can see some thing will happen on 20 which I can interpret as Nov 20 (Karthigai month 1st pradosham) which swami said in my dream. Then after three days swami will come on Nov 23 which is his birthday! You can see in many nadi readings it has been said swami will come on November. “On the day of the Rohini star, the day of Krishna’s birth (august 17 2014), He will unite with that body. 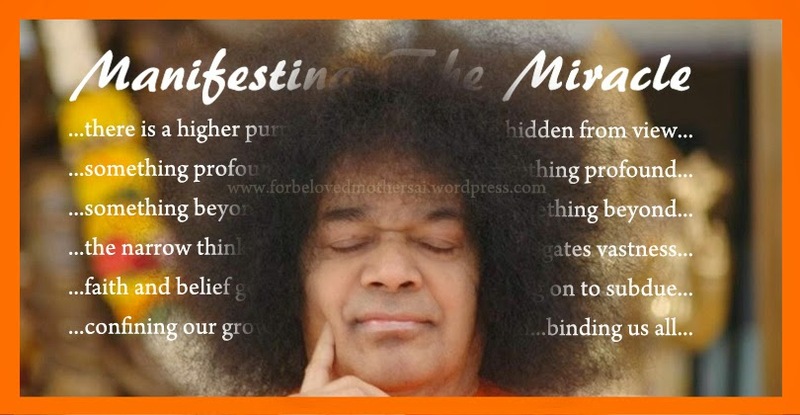 Ah, we are calling upon Cosmic Sai Baba to make his presence, and we welcome his presence here this day, Tuesday, the 1st of July, 2014. You asked me if I would make it louder to show that I was here ... and I AM. Because you have been saying you have never heard it ring so loudly before. So I am playing a little joke with you girls; and I am very happy that you have asked me to be here. There has been much talk about me coming in a LIGHT BODY and appearing in front of many people; and it is true. And, I am intending to come more often in this way. There are many people on this Earth who will not understand – but people like yourselves will be able to help people to understand. And so this will help me to, shall we say, 'Bridge the Gap' of returning after the body that I was in has turned to ash or died ... ... and I am here - or will be in front of many people, as if I had not died at all. But, I am in a LIGHT BODY which is without the earth chemicals (or chemistry) in the cells. BEINGS OF LIGHT DO EXIST – they come from the highest order, which is where I come from. And I would like you to remember that because I come with love – LOVE FROM THE UNIVERSE – Love for all Beings upon this Earth – and it is my duty and my desire to help as many as I can – to help them to understand who they really are. For once they really understand who they really are – wisdom comes – understanding comes – and you can be all teachers so that you can tell others and help them to understand. Does that make some sense? If there are prayers, I can come easier than if there are not prayers – but I say this really because with prayers I know I am welcomed. And I wish to only come to places where I know I am welcomed. Not because I fear anything, but rather, what is the point in coming if I am not welcomed? I want to allay people's fears. There is no reason to be fearful ever. If you raise in conciousness and pray to GOD THE ALMIGHTY, THE CREATOR OF ALL – this is all you need to do to remain in a place of elevated ascension and this is what it is about. Jesus showed many – there is a story about how he showed many – of dying; and then, raising his body three days later: and in a way that is what I have played out except that instead of 3 days it has been 3 years. But, there are reasons for this – but nothing for you to worry about. It is more connected with the Cosmos. And so I would like you to accept the fact that I have returned – I have ascended; and I hope you all will be welcoming me on my return. For indeed I wish to stay until my 96th year so that I have not actually let anybody down in what I foretold about this Earth body. It is just now that it has changed to a Light Body - but I am exactly the same as I was on Earth as SAI BABA. So please, please! Welcoming me is my truest and most heartfelt desire that you put out to me. And I will come, in one way or another. You have already felt my presence in this room; as soon as you walked in the door, you felt my presence. And then you felt, some of you, that you could see me, and that is good. And with the sound of the BELL of course, I responded and showed you that yes I was definitely here. Now all this could sound strange to others that are not in this room to experience it. ... ... But that is how it is. I HAVE RETURNED—AND WITH THE LOVE OF GOD, which is the most important message that I bring. Before I go I would like to BLESS all these people who have sent letters asking for Help – I would like them to know that I always receive every message that people send to me – I receive it. And I would like them to know that I return their love and assistance in the best way that I know is for them. Some might not think it is, but eventually they will come to understand. And so I thank you again, from my heart, for inviting me. Thank you, thank you my children, thank you. Sai Baba says: "Sai Baba's women Messengers should increase throughout the world, until My Message is spread everywhere. There is only one God and He dwells in the heart. When you understand this Truth, when you develop devotion and surrender to God, there will be only one religion, the religion of Love, and there will be only one caste, that of mankind." Sai Baba taught me that women symbolized devotion and men symbolized wisdom. Thanks to devotion, women entered the "palace", that is, they could reach the innermost place in the heart, while men (wisdom) didn't go further than the "audience room". Nothing can slow Him down! Where did You go Swami?